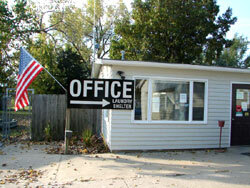 Deer Grove RV Park / campground is open year round with Daily, Weekly and Monthly rates available. We have 45 full hookup sites, 16 pull thru sites and 29 back in sites. Deer Grove offers an area for tents. The shower house is available close by. There are picnic tables and a portable fire ring available. If needed, 20 amp electric service is available for the tents. Small Rallys and Groups are welcomed at Deer Grove! We have a clubhouse available for your use as you stay in our campground. There are many local attractions located in El Dorado and the surrounding communities. There are many seasonal events to base your Rally around.